Wearing headphones can be dangerous. Be careful where you wear headphones. 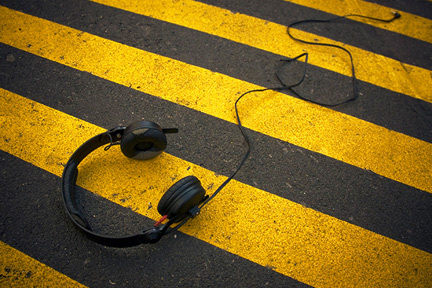 About 20 pedestrians are injured or killed each year while wearing headphones! Researchers say that more than half of the headphone accidents were the result of people walking near railroad tracks, and being hit by trains – because they couldn’t hear the trains coming.